Yes I did read Altered (review HERE), and yes I did LOVE it. Gimmee an ARC, Little, Brown, pleasepleaseplease! I completely forgot about this series! It definitely looks good, I'll have to see if the library has the first one. I haven't gotten around to reading the first one and the series looks really good. I hope you do read it sometime! I can't wait to read this book either! Altered was so good and I need to know what happens next. I hadn't seen that they had changed the cover, but it looks really cool. Altered was AMAZING! One of my favorites of the year so far. And the cover reveal and changes happened quite recently! I like them, but I prefer Altered's old cover. Good thing I have a hardcover copy already! I haven't seen any negative reviews for Altered yet. I mean, they exist, but I follow reviews of experienced and reputable bloggers, and the reviews I've read are all positive! I'm hearing good things about this series but haven't had the courage to pick up the books. Great pick, i hope you enjoy it when it's released!! I hope you do read Altered sometime! Sounds good, I always like stories where memories have been wiped. :) Have a good one! Ooo, I usually don't, but this series is fantastic. Thank you! I haven't read the first one, although ti sounds good so I may have to check it out! So many books, right?! I hope you read Altered. Thank you, Jessica! Great pick Alyssa :) I hope you get your ARC! I haven't read Altered yet, but this looks good! :) I hope you get a copy!! Great pick! I have heard many good things about the first book in the series, so I'll have to add both Altered and this one to my TBR list! And I hope you can get an ARC of this one! It's a fantastic thriller series! I hope you read them both, Pili. And thank you! SAM, YOU ARE MISSING OUT! 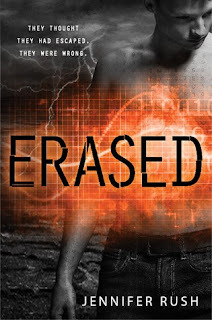 The covers did change, and I'm kind of ehhh about it for Altered, but I like how it looks on Erased. But you bring up a good point. I still haven't read book one. It's another one of those 'I bought it in print but I only like reading ebooks now' kind of thing like POison Princess. Next time I see it on sale for the Kindle, I am snatching it up, I hear it's yummy! 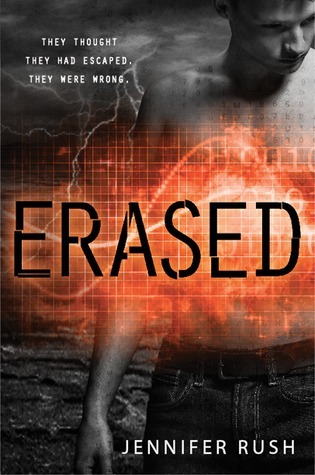 So I saw they changed the cover for Erased (sad face) but I didn't see Altered. I went and looked now and gah. I know it's not a huge change compared to the original cover but why?! Why can't things just be left the way they are? I like my books matching, dammit. And I agree with an earlier comment, I like seeing more of them ;) I mean, I GUESS the new covers are little more eye popping but still. Cover changes mid-way through REALLY bother me. What I don't understand is why they don't just change the PAPERBACK covers. So those that are die-hards of the books will go out and buy BOTH the hardcover and paperback. I mean, that's what I did for Scorpio Races...I loved the paperback cover so much (and I loved the book that much) that I went out and bought that after having already owned the hardcover. It just makes me depressed to look at my bookshelf and see my books not match. Like I'm looking at Shatter Me right now and I'm glaring. (On the other hand, someone like Bloomsbury changed the Throne of Glass covers BUT they made their spines match, so I could give them a hug for that). I'm on the fence about the new covers. On the one hand, I like them more but on the other, I don't. But I think I'm with you, I like the new Erased but the old Altered lol! Ahhh, that makes sense. I would totally buy the hardcover set, and *maybe* the paperback set for this series. ONLY for this series though. And I so know what you mean about Shatter Me! My friend bought my the paperback for Christmas (thank goodness), and mine match, but I totally get it. And you know what? I never noticed the spines! But I also got the paperback of Throne of Glass, so mine match in that instance as well.